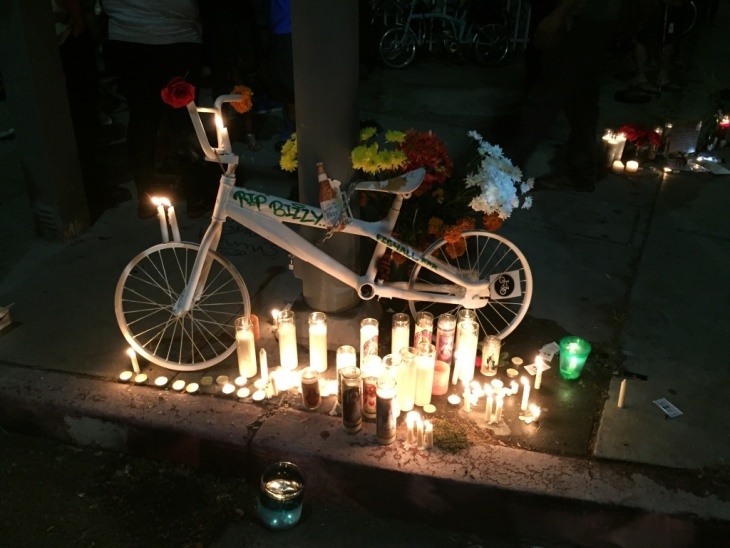 Since 2003, more than 180 bicyclists were killed in collisions on Los Angeles streets— and the 21 deaths reported last year are tied with 2016 for the most fatalities in that time period. As the city revamps its Vision Zero street safety initiative, the City Council approved a program on Friday to memorialize some of those victims with new signs. Once Mayor Eric Garcetti approves it, the Los Angeles Department of Transportation will create an application process for families to request a marker with their loved one's name on it. The signs will also include "language that broadly promotes motorist-cyclist safety," according to LADOT officials. "The ideal reaction is to be more cautious, to be aware of the bikes that are in the lane next to them," said District 3 Councilman Bob Blumenfield, who introduced the motion. "More often than not, a lot of these fatalities are caused by drivers being distracted, or drivers going too fast or drifting into the bike lane," he said. 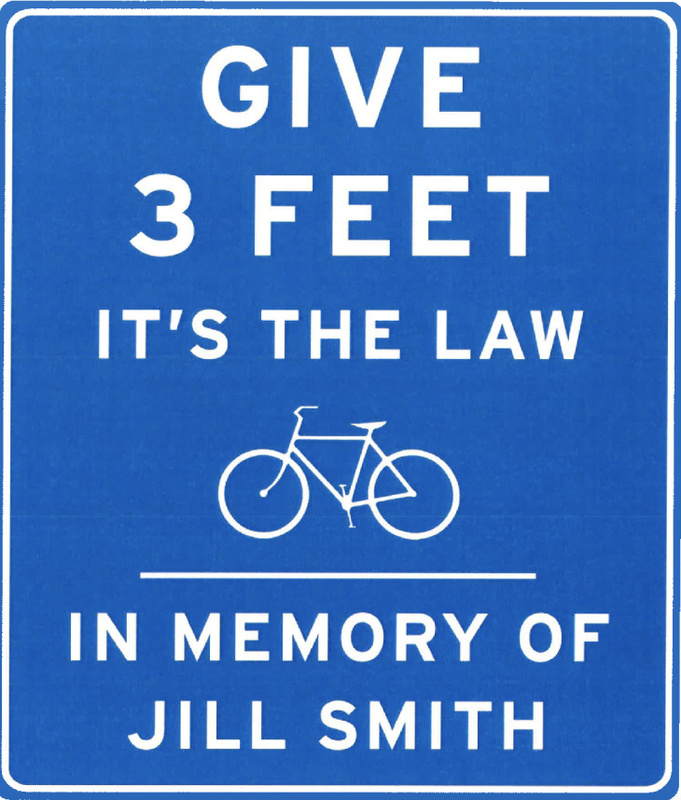 "This would be a reminder that they have to share the road, a reminder about bicycle safety, and a reminder that people's lives are at stake." In an interview with KPCC's Take Two, Blumenfield explained how the idea for the signs was borne out of a tragedy in Woodland Hills last April. On Easter Sunday, 15-year-old Sebastian Montero was struck by a car and killed while riding his bike on Burbank Boulevard. Blumenfield was in contact with the boy's family, as well as local police officers— together, they discussed ways to prevent future tragedies. "I've been to too many of those ghost bike ceremonies, and they're heartbreaking," Blumenfield said. LADOT will post up to 20 signs per year, which the department said will have a lifespan of five to seven years. Family of victims who wish to keep the signs up after that will be required to pay for the new installation, according to LADOT. Blumenfield noted that while the signs are an easy, inexpensive attempt to improve street safety, they're no substitute for improving street infrastructure, including adding more bike lanes. More projects like that are planned as part of the city's mission to eliminate all traffic deaths and serious injuries on L.A. streets by 2025. "It's not an either/or," he said. "This whole initiative is really just a small part of Vision Zero." Cyclist advocates and Los Angeles County Bicycle Coalition members Zachary Rynew and Dana Variano said they're supportive of and encouraged by the program, especially given the muted community outreach from LADOT in recent months. "The city actually taking a step to kind of build upon this program is a real positive step because it'll give people more of an idea of how our roadways are being used," Rynew said. "We're very excited that (LADOT) seems to be taking a different approach in this version two of Vision Zero, where they're actually acknowledging the lives lost on the street, largely because of infrastructure that leads to speeding," Variano added. "We need constant reminders that this is an extremely important issue and one that we need to act on fast — and can act on fast — to save lives." April 1, 2 p.m.: This article was updated with the DMV manual instructions on maintaining 3 feet whkile passing bicycles. This article was originally published on March 29.